Cloud computing has helped solidify client-server architecture as the preferred foundation for many kinds of applications, from desktops to mobile to web. The reason this architecture is so powerful is because it allows applications to synthesize the unique capabilities of servers and clients – and then combine the two into features for a single application. When middleware and business logic are added into the mix, it becomes multi-tier (or “n-tier”) architecture which can be even more flexible, adding data and rulesets to a simple data exchange. Like so many other things, however, the many choices available often create confusion. What kind of server do I need? What kind of capabilities does that server need? How can I apply those capabilities into software that will serve my customers well? Numerous business, starting with the Fortune 500 companies, built their own internal networks using Internet protocols to publish information, search for information and archive their product documentation, customer relationships and sales data. Using this model as an example, it’s possible to find the optimal combination of cloud capabilities for your application. The best part is that the proof of concept has already been demonstrated, so it’s not necessary for you or your company to reinvent the wheel. While application optimization, speed and convenience are important, the one thing you absolutely must deliver to your customers is cloud security. Be cautious about using public resources and storing sensitive customer data in a way that might invite problems. You must also balance security concerns with affordability. It’s not practical to build an entire datacenter full of servers to deploy an application with only a hundred users. Ultimately, choosing a cloud type comes down to balance. Deploying servers and building a cloud-based architecture presents developers with a trade-off. Rarely will you find a situation where one approach is automatically better than the other. Your challenge will be to combine the two approaches into something that’s better for your team and your customers. This usually requires a hybridization between public resources and private resources. This, of course, is the option chosen by most businesses when it comes to using internet protocols on their networks. Some businesses have found it much easier to deploy certain kinds of information on an intranet and other information on the public internet. One of the most powerful methods of developing applications for customers is the ability to test one option versus another. This is something that should be considered if you have the option of deploying purely public resources versus purely private resources. Finding the balance between the two will lead to your optimal application. 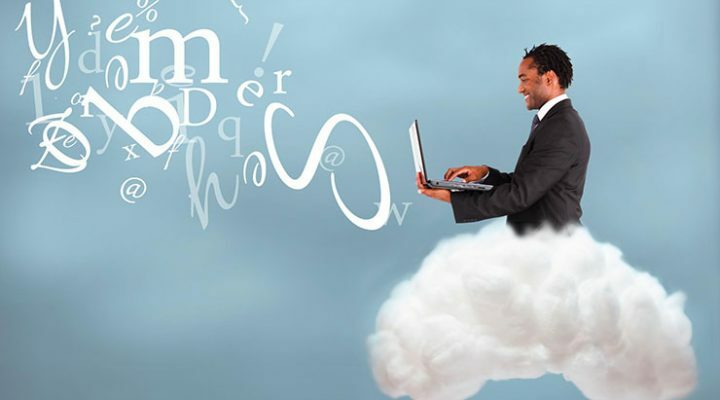 Cloud computing has proven its staying power. Therefore, it’s more important than ever for businesses to decide whether or not they’re joining the cloud. For those new to cloud computing or unsure about its potential benefit, we encourage you to reach out to our cloud computing experts today!